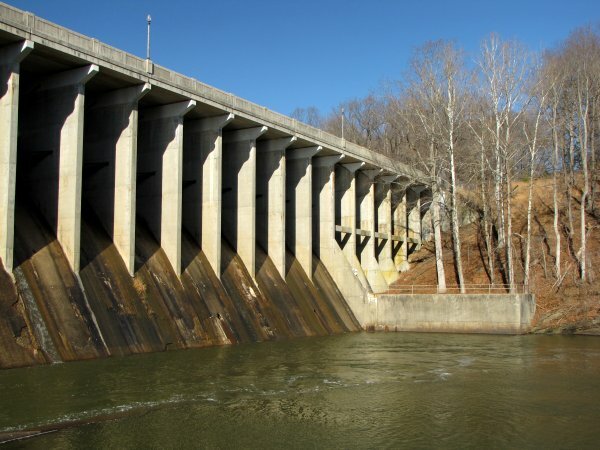 Brighton Dam, near Brookeville, Maryland, which impounds the Patuxent River to form Triadelphia Reservoir. Notes: This photo was taken from a public park located on the Montgomery County side of the river. The land in the distance is in Howard County.